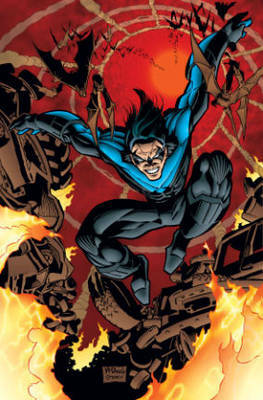 Attempting to create his own life and forge his own destiny, Nightwing has begun anew in the city of Bludhaven. Leaving behind his adolescent days as Robin, the vigilante confronts his own rogues gallery as he faces off against the deadly threats of underworld kingpin Blockbuster, the half-creature, half-human Man-Bat, and the lethal assassin Deathstroke. But even distance and time will not allow him to escape his past, as Nightwing finds himself once again battling the fear-inducing Scarecrow and working side-by-side Batman, when his mentor pays him an unwelcome visit to check up on him. Collects issues #9-18 of the original Nightwing series.